NOT SUITABLE FOR the delusional, those who wish to repress, resist, avoid &/or deny reality. Born in Spain and raised all over the world. With a major in economics and a masters’ degree in marketing, her career starts in multinational ad agencies. Following a burnout, she launches her own business in furniture-design and her consultancy activity in space-planning & decoration, still present up to date. In 2004, health challenges redirect her professional path. Turning to alternative therapies, Ana unfolds her healing potential and becomes a Pranic Healer, Reiki Practitioner and Certified Space Dowser. During these 15 years, first as a student, then as a teacher, she is introduced to countless meditations techniques that restore her physical and mental wellbeing. 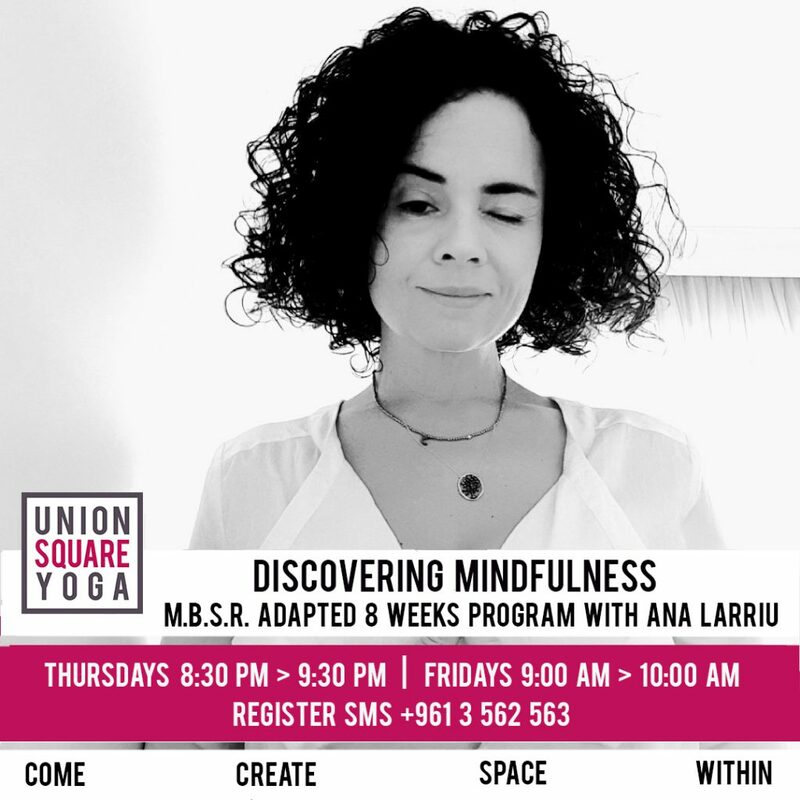 Recently, Ana takes her meditation to the next level and retrains as a Workplace Mindfulness Instructor based on M.B.C.T. from founding director of Oxford University Mindfulness Center. Her WELLNESS @ WORK PROGRAM© a Mindful Leadership Program, adapted for the sensitive Lebanese population is introduced in 2018. Loving her man, raising their 3 daughters and infiltrating “the system” with consciousness, has become her purpose.